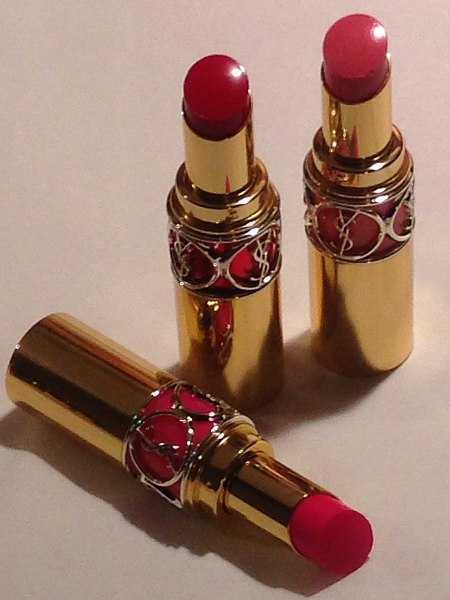 Luxury Lipstick, YSL lipstick is an elegant and beautiful luxury gift for your Lady’s handbag. This small but beautifully presented gift is a perfect present to make your loved one feel loved. The lipstick is just one of those iconic objects, one of the first pieces of make-up a young lady uses, an object in a mother’s handbag and something to make her feel instantly feminine whilst the rest of her mind might be trying to juggle a hundred million things. I had a very glamorous mother, who came from that era of post wartime beauty and can always remember her handbag with a million bits and pieces of usefulness and then that one object of class, her lippie..
YSL Luxury Lipstick a luxury gift for your Lady’s handbag . You might have seen it in a hundred black and white films, that moment in the drama when the lady stops, looks into the mirror and puts her lipstick on, and then very often turns back to look at her man, instantly feeling a touch more together. A truly cult lipstick. Rouge Volupte Shine combines voluptuous glide-and-go colour with comfort and care. Thanks to 6 sensorial oils your lips are kissed with long-lasting moisture. Rouge Volupte Shine is wrapped in a romantic, elegant, gold case. For whatever age in life and whether for home, work or special occasions I’m sure the lady in your life would agree that from the packaging alone these lipsticks are every woman’s dream to have in her handbag! YSL Luxury Lipstick a luxury gift for your Lady’s handbag …..
Buying anyone a gift is always special but we at Gentlemans Butler like gentlemen to think outside the box when thinking about purchasing a luxury lift. When looking at what colours to buy, well its logical as the television sleuths might say, look at what colours she wears, see if she has recently commented about a colour and if in doubt buy 2. In addition, think of the wrapping, possibly wrap in some tissue paper, a bow maybe of the same colour of her lipstick and spray the package in her favourite perfume. We would be surprised if she does not have a beaming smile with her luxury lipstick and she might just be suitably impressed by you thinking outside the predictable box. YSL Luxury Lipstick a luxury gift for your Lady’s handbag ..